Kansas City IRS building. Photo courtesy of MacKenzie Roth. The U.S. Federal Government just reopened after the longest shutdown in its history. For 35 days government employees across the country were told not to come to work, while others who were deemed essential were forced to work without pay. The shutdown started Dec. 21 when Congress refused to approve a spending budget for 2019. The main point of contention was over a majority of representatives, most of whom were Democrats, refusing to funnel $5.7 billion into building a wall along the southern border. Several Republicans claim the wall, which was a quintessential element of Trump’s 2016 campaign, will solve what they call an immigration crisis at the U.S. southern border. President Trump claimed he would make Mexico pay for the wall. However, in May of 2018 , Mexican President Enrique Peña Nieto responded to one of Trump’s tweets saying his country would never pay for a border wall. Eager to please his base and fulfill his campaign promises, Trump told Congress in December he would not approve any spending bill that does not contain funds for a steel wall. Thus, the longest government shutdown in history began. Congress and the president agreed to end the shutdown Jan. 26 when they passed a three-week spending bill that did not include funds for the border wall. While the problem has been temporarily solved, the long-term impact of the shutdown is still unknown. The economic impact of the government shutdown in 1995, which previously held the record for the longest shutdown at 21 days, was estimated to be $1.4 billion, equivalent to approximately $2.1 billion today. Rental assistant was delayed, and TSA, Coast Guard and FBI officials were forced to work long hours without pay. Some National Parks were open but not adequately staffed, and visitors caused damage that could take more than 200 years to fix. Perhaps the effect of the shutdown that will hurt Americans the most is the cutbacks at the International Revenue Service (IRS). 89 percent of IRS employees were furloughed or working without pay. With tax season looming closer, tax returns are expected to be severely delayed and there is a chance some Americans may not receive them at all. The effects of the closing of the Federal Government spread far beyond Washington D.C. Approximately 9,000 federal employees were furloughed in the Kansas City area. The majority of those workers are from the IRS office where they were forced to work without pay. Unlike other employees affected by the shutdown, they could not apply for a second job to make up for lost funds. 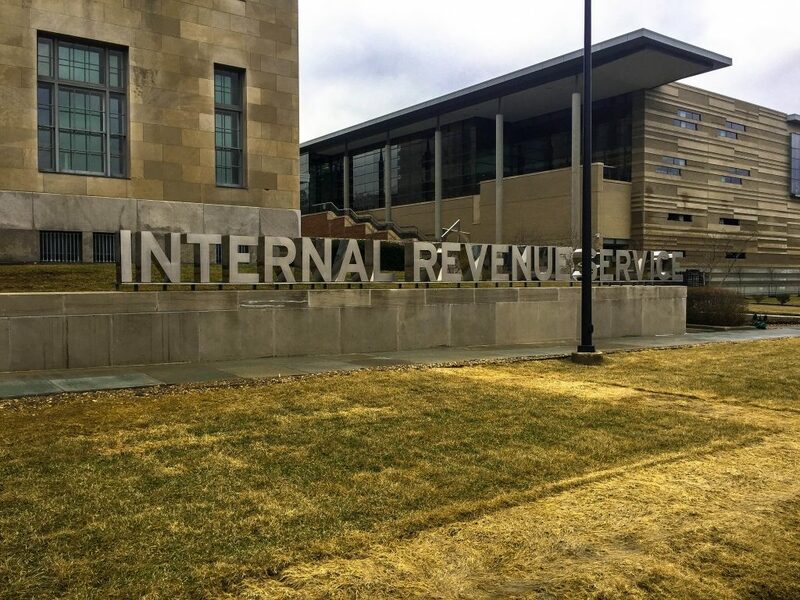 Without an income for a month, federal workers in the city organized a protest in front of the IRS building to voice their frustrations Jan. 10. The streets were crowded with angry employees about to miss their first paycheck and passerbys could hear cries of “Hey, hey, ho, ho, government shutdown got to go”. Little did they know the shutdown would last another 15 days and cost them two more paychecks. The shutdown also caused federal court cases to be delayed and may cause delays in February food-stamps in Kansas and Missouri. Most of the people who receive food stamps have children and/or family members with disabilities. The shutdown also had major implications for the Kansas City International Airport (MCI). Air traffic controllers were forced to work without pay. Jan. 17 controllers protested their situation by handing out fliers to travelers. They read in part “No one should be under the illusion that it’s business as usual for aviation safety during the shutdown.” There were also longer lines and flight delays thanks to TSA officers who were not being paid. The shutdown also delayed the building process of the new single-terminal airport. Before construction crews can begin the 3 year-long project, the plan has to be approved by the Federal Aviation Administration. The shutdown meant there was no one available to approve the environmental assessment. There has been no update on the issue since the shutdown ended. The government is now open again, but if Congress does not approve a long-term spending plan the country will face another shutdown Feb. 15. The odds of the Democrats and Republicans coming to an agreement over border security do not look promising. If he does declare a national emergency, the president could take funds from the the Pentagon’s military construction budget to build the wall without congressional approval. A state of emergency would give Trump a arsenal of executive power he has not had access to and limit any control the other two branches would have over his actions. If Congress does not pass a spending bill and the president does not declare a national emergency, there could be another government shutdown. This time, many federal workers will not have a safety net to fall back on, having spent their savings in December and January. Kansas Citians could expect long lines at MCI airport, federal workers lining up at food banks, delayed tax returns and delayed food stamps, plus many other unknown ramifications. This means the city – and the county – could be in major social and economic trouble in the near future.